Vatuka Bhairava Puja was performed on 2nd october as part of Navaratri Puja. 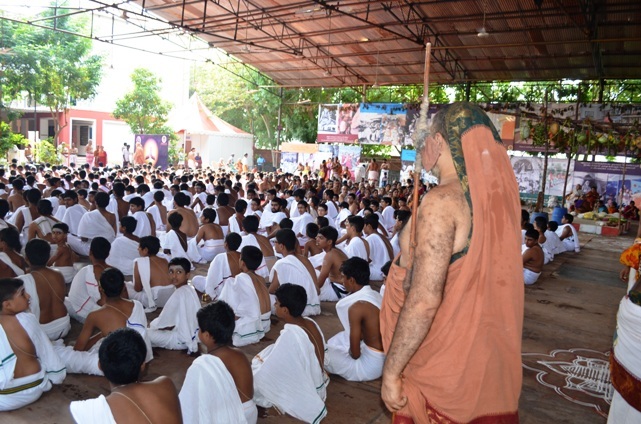 Nearly 600 Vatus from various places gathered to take part in the event. 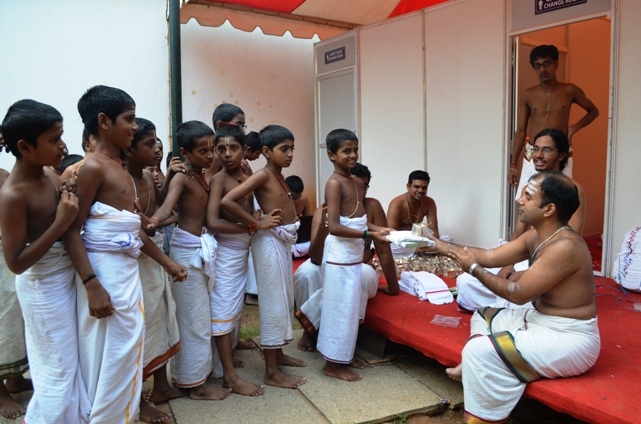 On their arrival each one was given a Veshti and Panchapatram after registration. 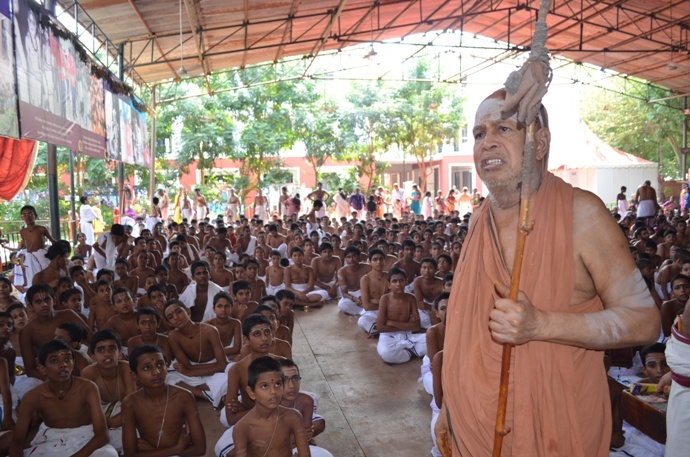 The vatus had vishesha snana and performed Gayathri Japa. 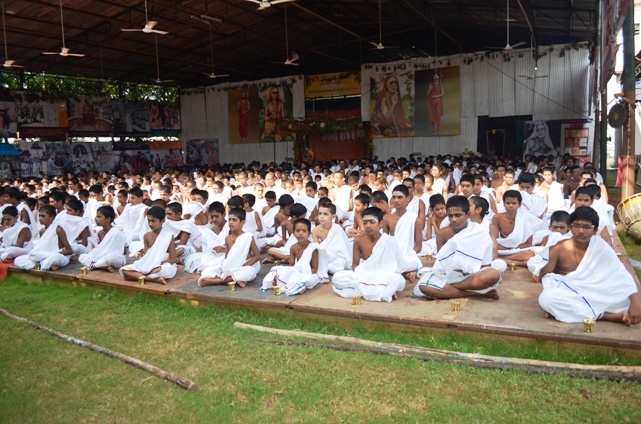 Then Vatu Puja was performed. Just as Suvasini and Kanya Pujas are performed as part of Navaratri Pujas, Vatu puja too is performed to propitiate the Goddess.